The Volkswagen Golf family was recently introduced for the 2018 model year at the New York International Auto Show. Each model shown across the lineup had received a number of updates including refreshed designs, driver assist updates and added technology. Today let’s focus on two of the models that we get the most questions about – the 2018 Volkswagen Golf R and 2018 Volkswagen Golf GTI, both performance-based Golf models. While each hot hatch is produced with performance in mind, they do differ quite a bit in their base models. Think of the 2018 Golf GTI as the little brother to the 2018 Golf R. It’s smaller and less powerful but also comes with a substantially lower price tag. If you’re looking to get into the segment without breaking the bank, the Golf GTI might be your best bet. But, if power is what you are after (and you have the budget) the 2018 Volkswagen Golf R can’t be beaten as a fun-to-drive hatchback option. The 2018 Golf GTI rides into the new year with some updates to all three available trims. The Base S trim has added LED taillights and running lights, a 6.5-inch display, automatic headlights with a rain sensor, and a start-stop feature on the automatic transmission configuration that helps to save fuel by turning off the engine when the vehicle comes to a stop and automatically restarting when needed. The top-of-the-line Autobahn trim has added an 8-inch display with a Discover Media navigation system and DCC suspension control. The 2018 Golf R includes LED headlights with an Adaptive Front-lighting System, LED taillights, and an 8-inch display to all trim levels. The DSG-equipped models will receive an automatic start-stop system while the DCC and Navigation models will receive Front Assist with Pedestrian Detection to go with the active safety features previously found on the model. The entire Volkswagen Golf lineup is set to be released in the fall of 2017. 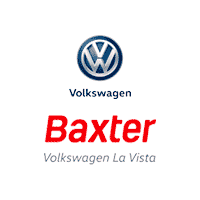 Keep checking back on the Baxter Volkswagen La Vista inventory pages to see when the 2018 Golf GTI and 2018 Golf R have arrived so you can be one of the first customers to get behind the wheel with a test drive.